We went to the Mile High Marketplace today north of Denver. It is large, it is well marketed, it is not at all chic, it is very fun. A great sunny spring activity. We found some sunburn, a mile or so of cheap and ugly plastic goods, kettle corn and turkey legs. I think I’d classify Mile High as more of a tourist trap than either the new vintage goods marketplaces or the old-fashioned junk tables of southern flea markets. For thrifty buying, the most impressive selection is from the acres of tools available. I wish I had taken a photo of the 4 foot Cinderella pinata. I can just picture a bunch of kids bashing the princess with sticks. Here is our small trove. Finger bananas $2. Bolo tie $1. Rake for a friend (see this project). Bags of roasted chilis $6. I think that is my favorite part of the market. The rolling barrels of roasting chili peppers and their smell wafting strongly. It is uniquely Colorado to me. Old fishing lures $4. 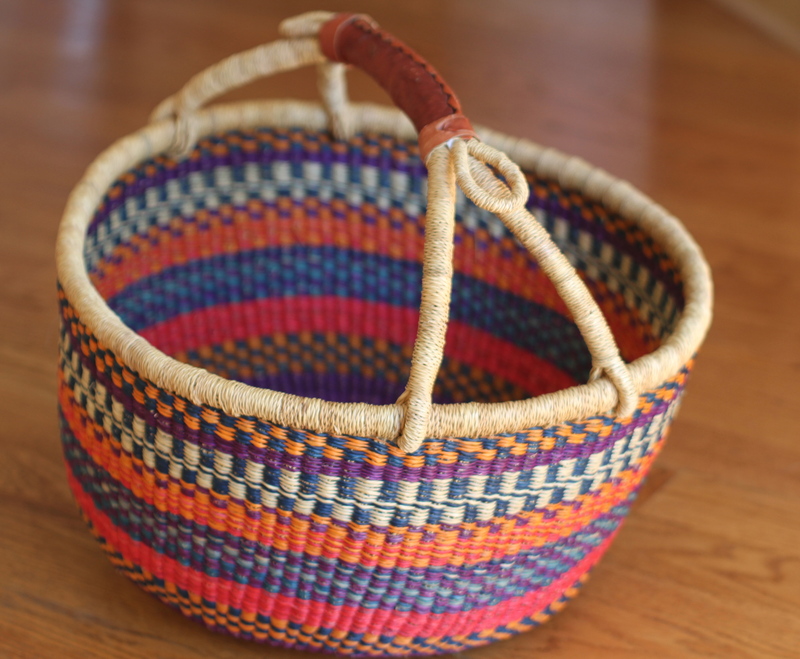 Basket $20. I’m delighted with the lures. 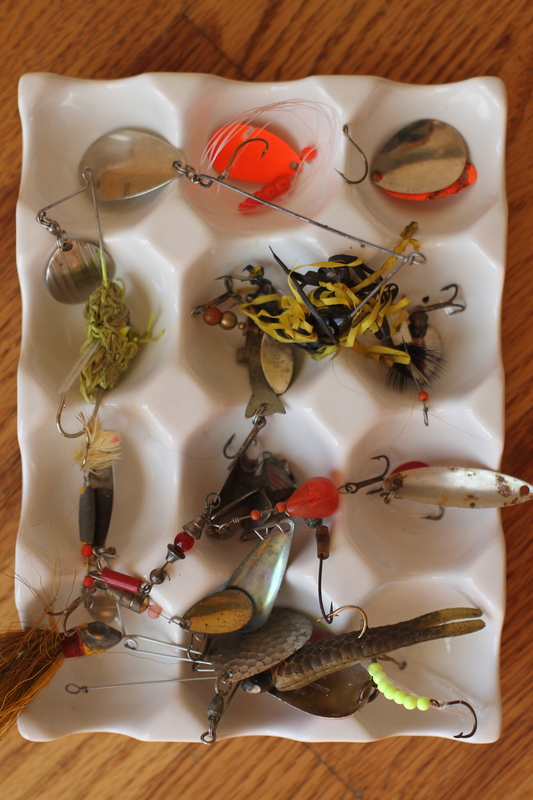 I’ve considered so many times buying this perfect collection of lures from my pinterest “to buy” board. But hopefully I can build my own display at a lesser cost. 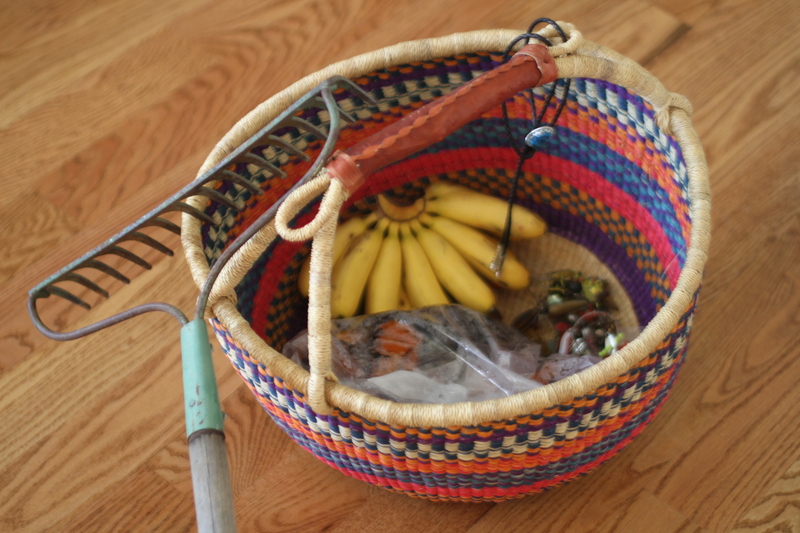 And the basket. Kind of steep for a flea market. But I’ve bought some of them full price and this was a deal. I love these guys. They are made in Ghana and sturdy and moldable and beautiful. I really wanted to find old outdoor faucet knobs, but no luck. Here is my inspiration. You are currently reading Flea market at whatsarahfound.